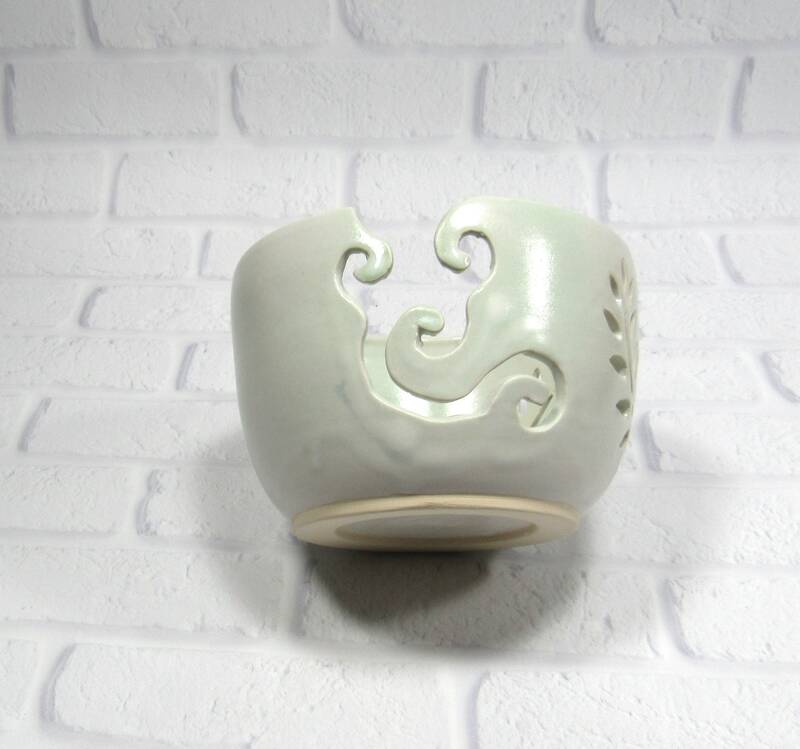 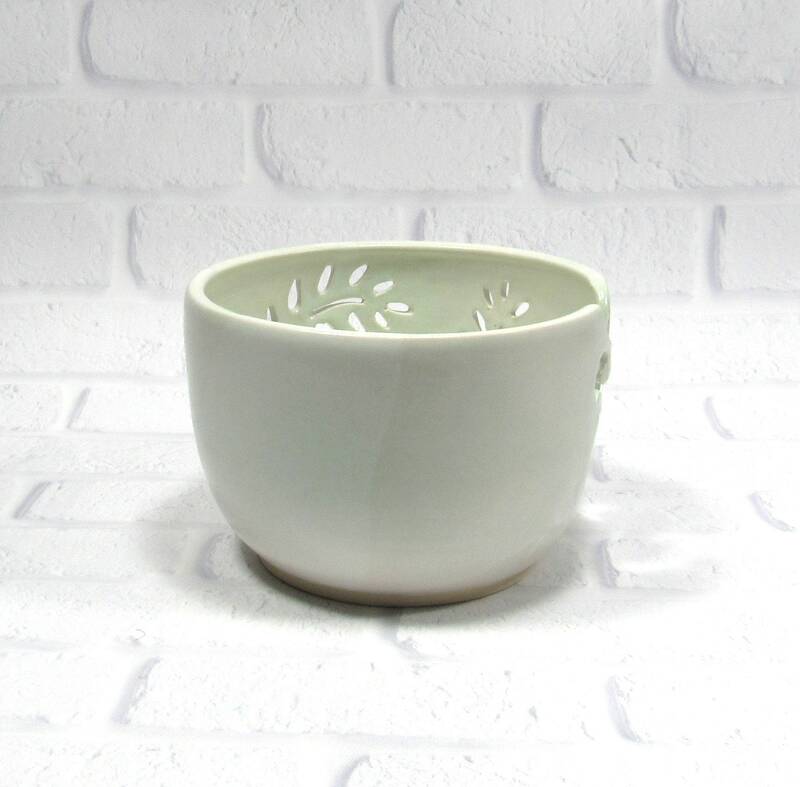 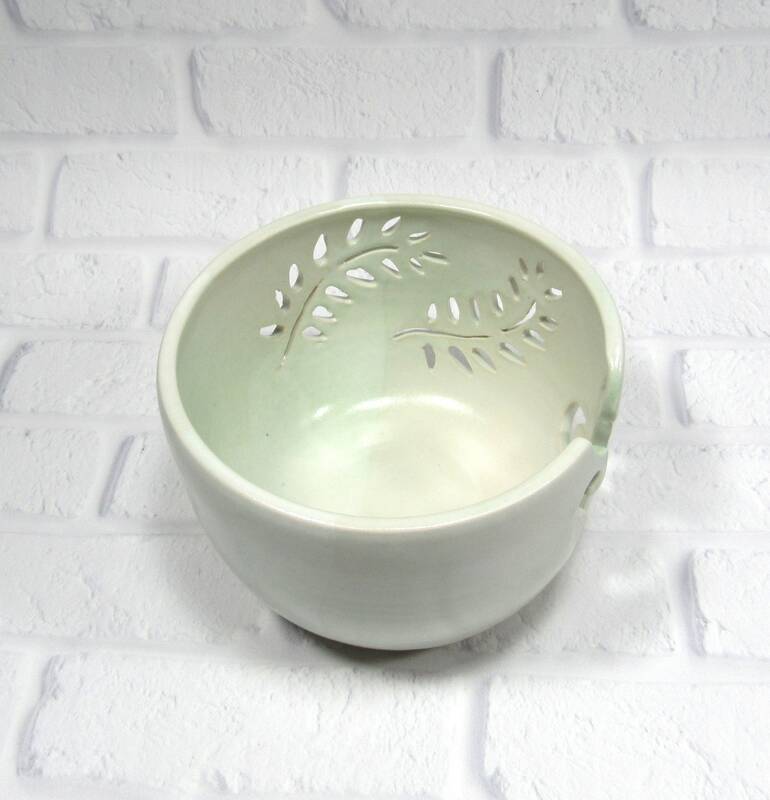 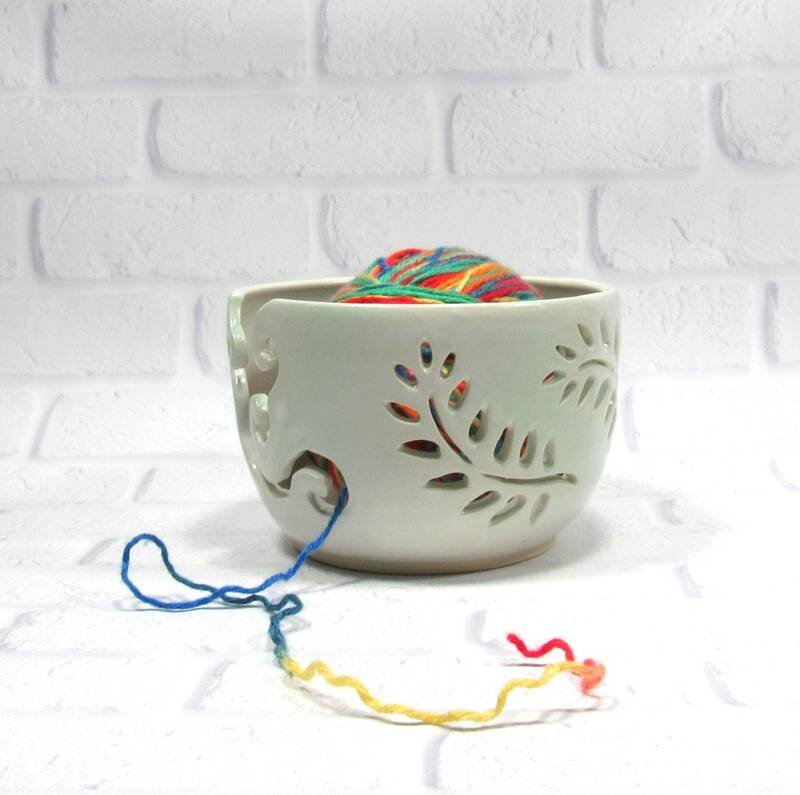 This ceramic yarn bowl is sure to keep all your knitting projects organized. 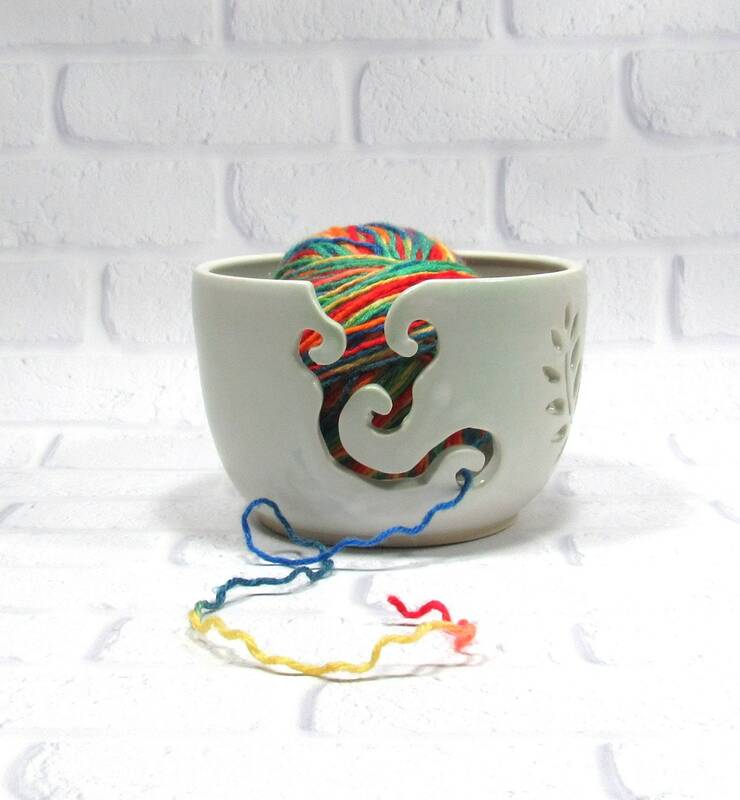 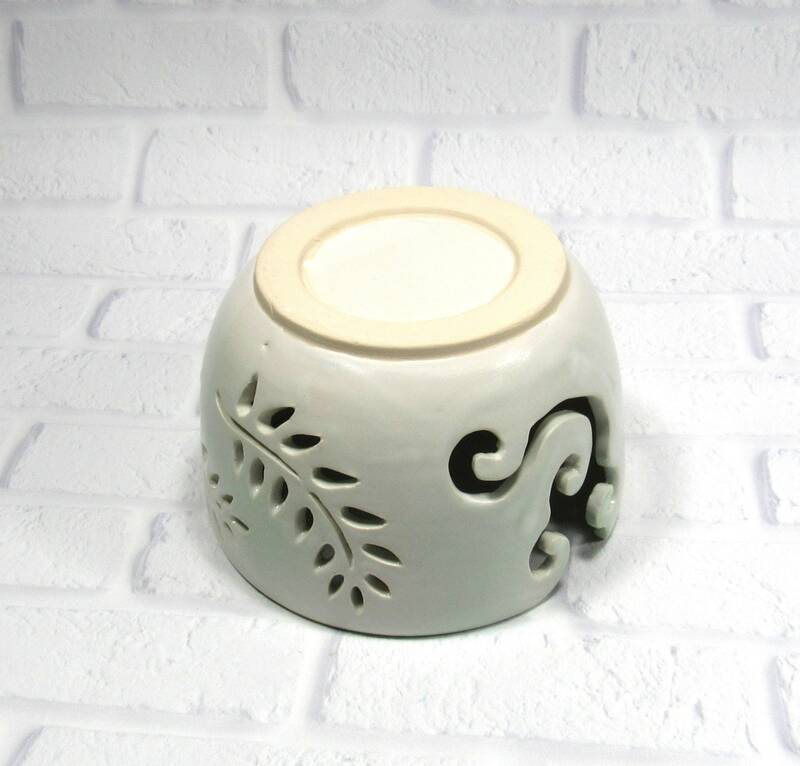 This knitting bowl is 4 inches tall and 5.5 inches in diameter. 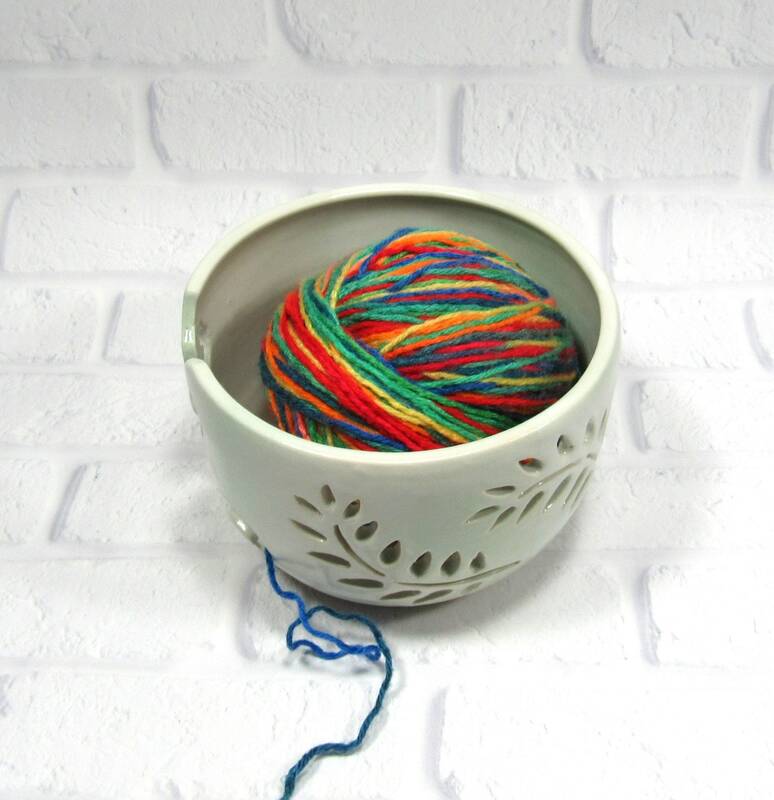 When the crochet bowl is not holding your latest project you can use it as a candy bowl, flower pot, or as a catch-all for keys and change, or put a pillar candle in it. 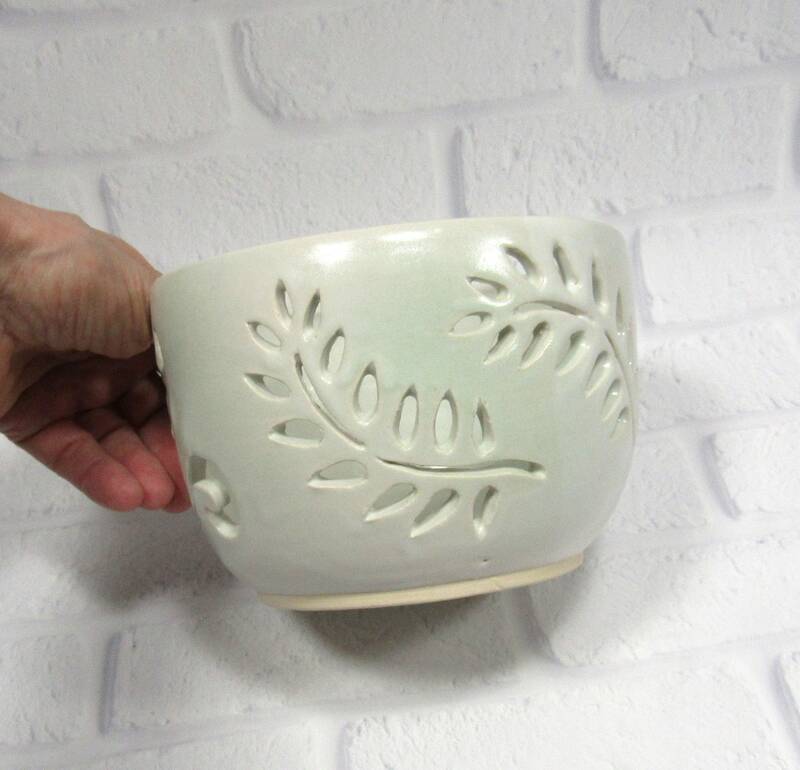 You can also use it to hold a flower pot. 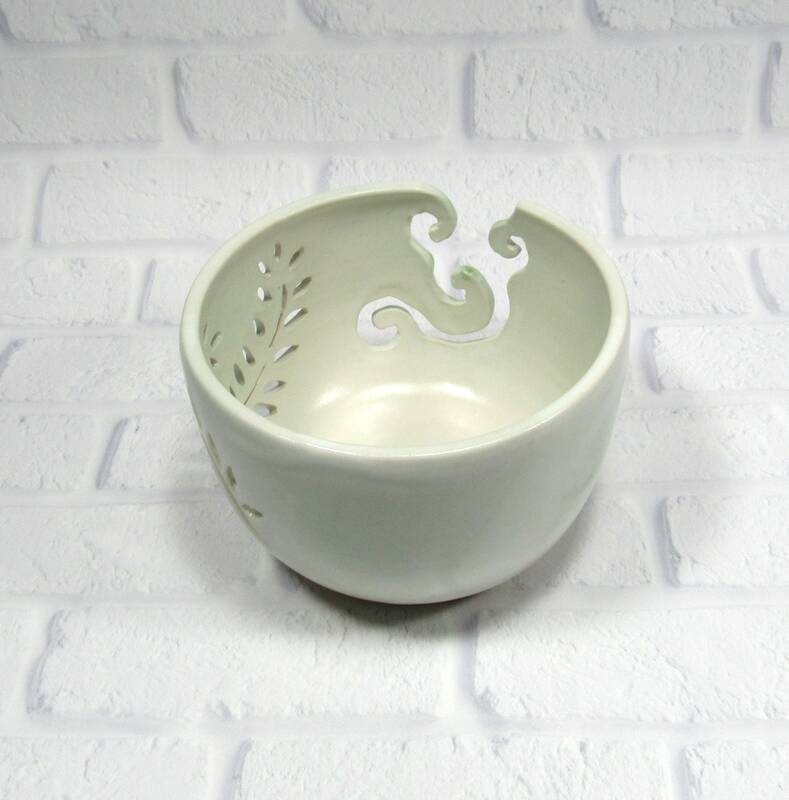 I made this bowl on the potter's wheel and used a scalpel to incise the design. 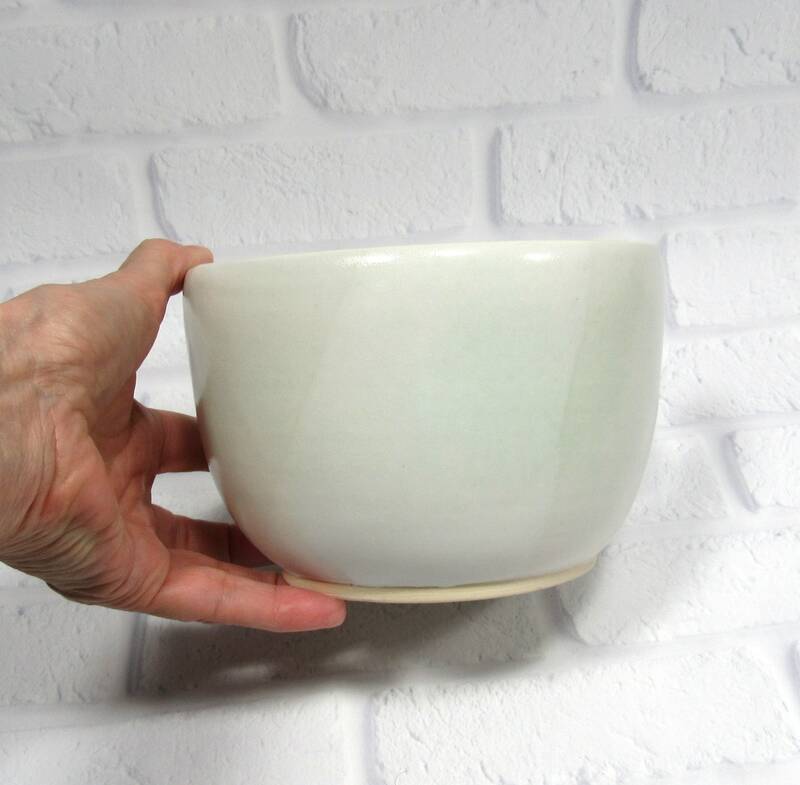 I glazed it in a satin white glaze and then sprayed a green glaze over it giving it subtle green tinges throughout.